May the 14th be with you! After all, it is the Mother’s Day. You still have got a few days to get something for your mommy dearest to make the day special for her. Sighting the arrival of the occasion, Google has launched a dedicated Mother’s Day feature on Google Photos. If you have pictures of your mom stores on your phone, then Google Photos can help make you a virtual card. This feature could be an add-on though, just to make the day an even special by going down the memory lane with your mother. Using this feature is pretty easy as it just requires you to select some images. 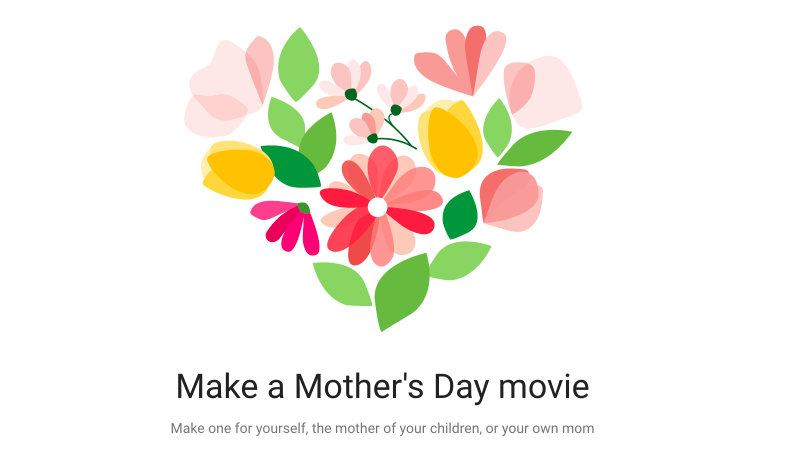 To make Mother’s Day movie on Google Photos, you will have first to pick the pictures with your mom from the gallery. After that, the tool would ask you to pick a few photos with your kith and kins. The AI is not specific about the gender while recognising the faces, which means that you can pick your near and dear ones as per your wish. Once you finish the selection drill, Google Photos will begin making the movie. You will get the notification on Google Assistant whenever the movie is ready. Sadly, unlike Facebook Movies (friendversaries, Birthday, etc.) this one does not let you edit the video once it is ready. The lack of editing feature would mean many inevitable flaws in the movie such as repetition of pics, a few blurry images, or HDR versions of the same picture. To make use of this feature, you must have enough photos of your mother and family backed up on Google photos or on your device’s gallery. Google often introduces special features to commemorate occasions and the Mother’s Day movie maker is not the first. While this feature is fantastic, but your mother would be happier to see something even more special. You have more than a week’s time to pull off a better gift for your mother, and you can certainly do better than just letting Google do the job for you.